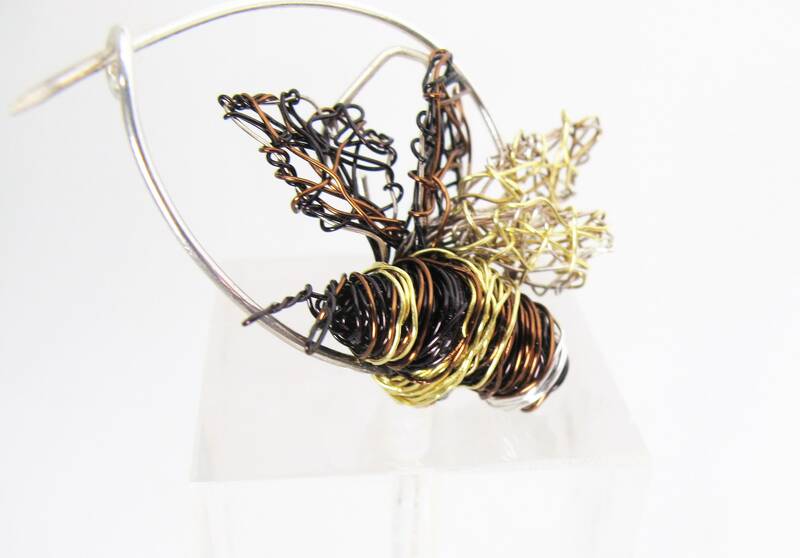 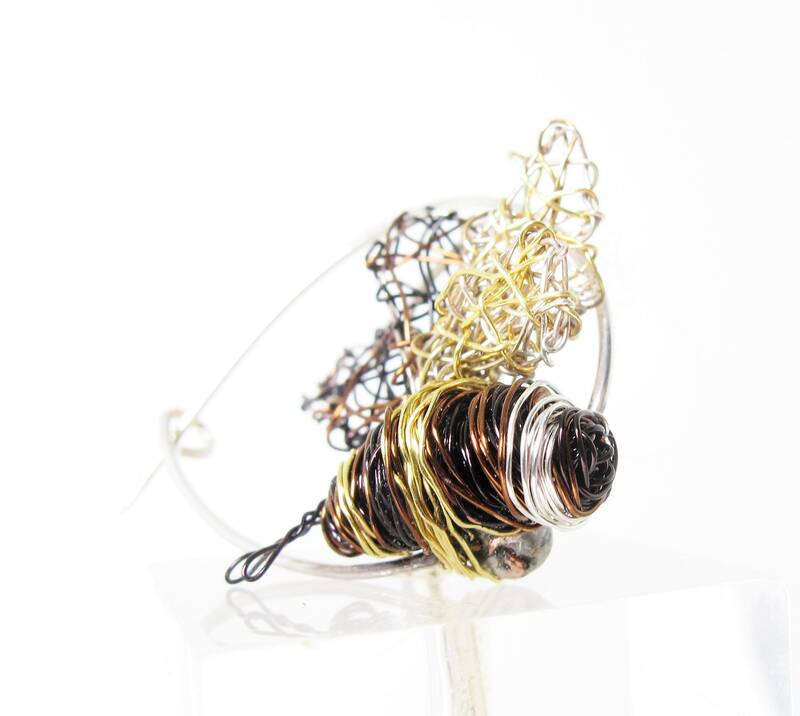 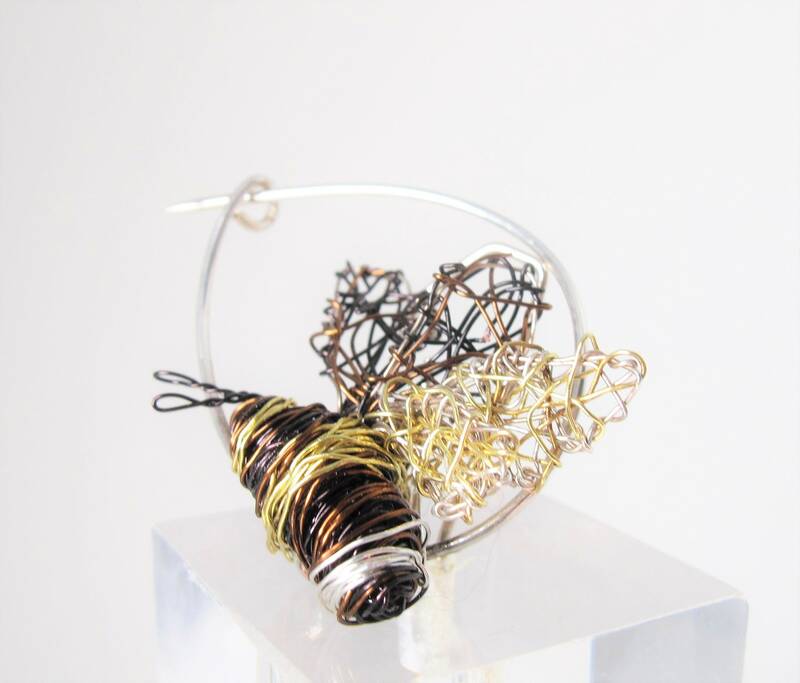 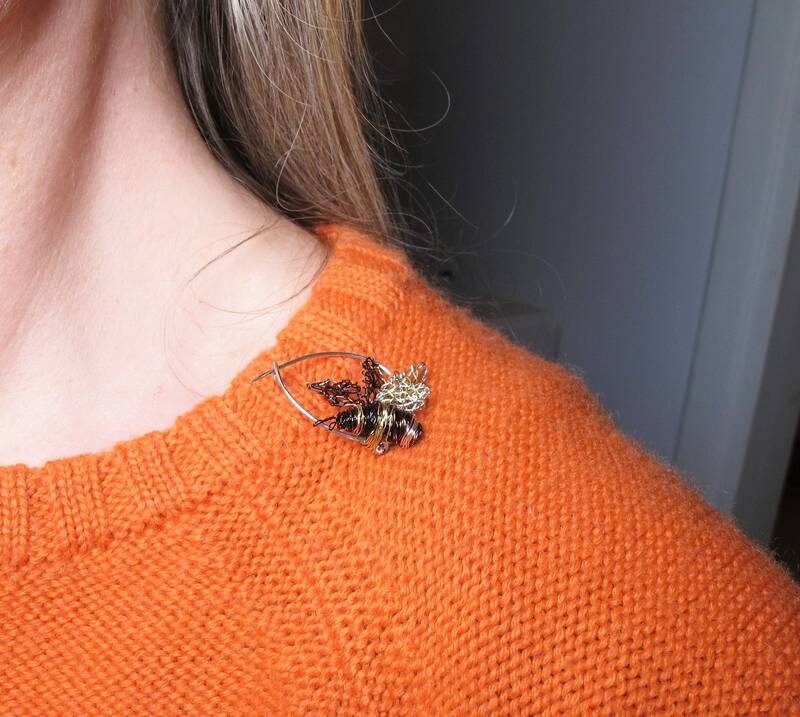 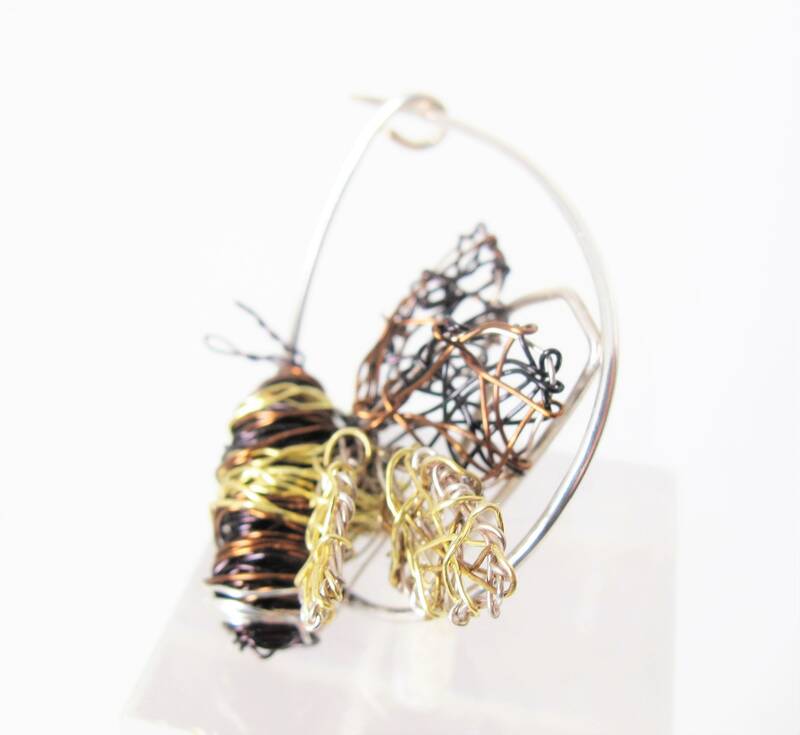 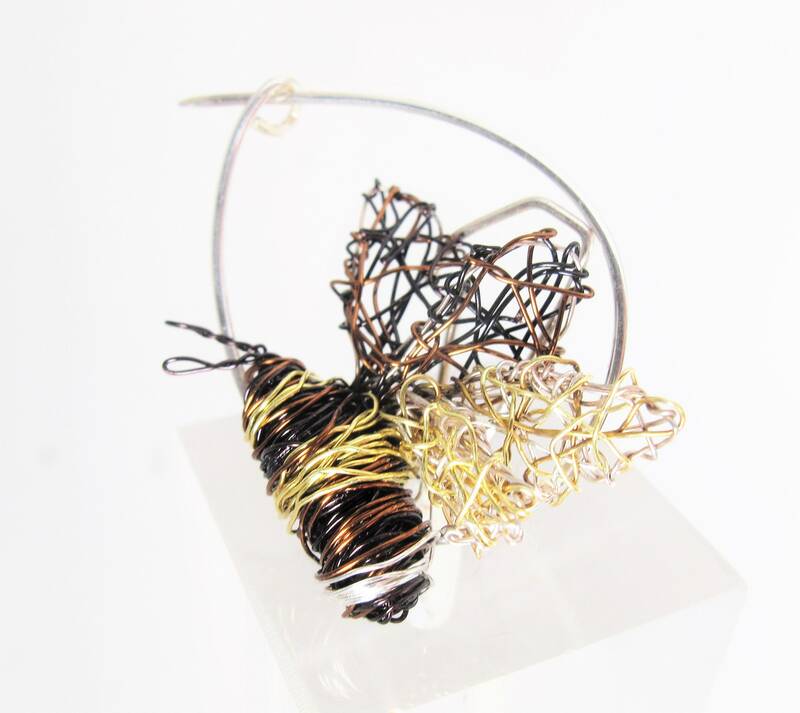 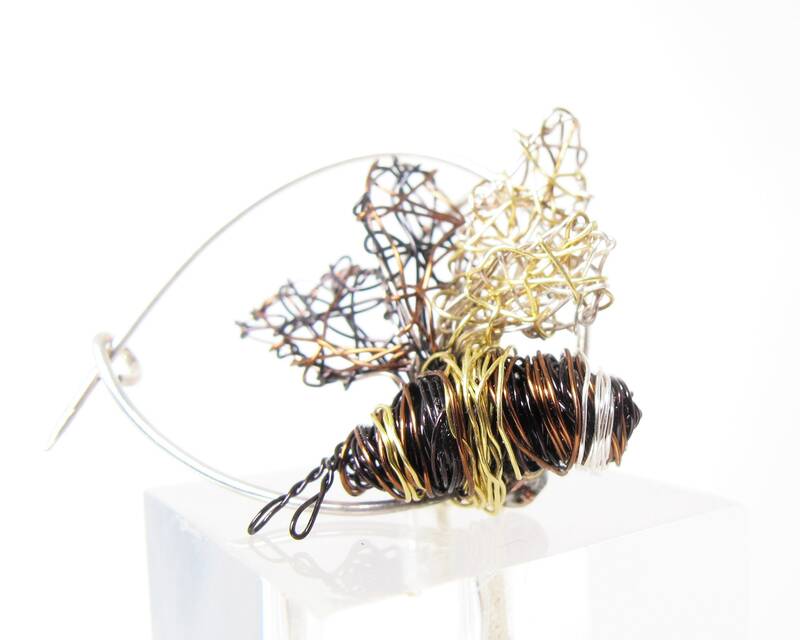 Bee jewelry brooch handmade of colored copper and silver wire. 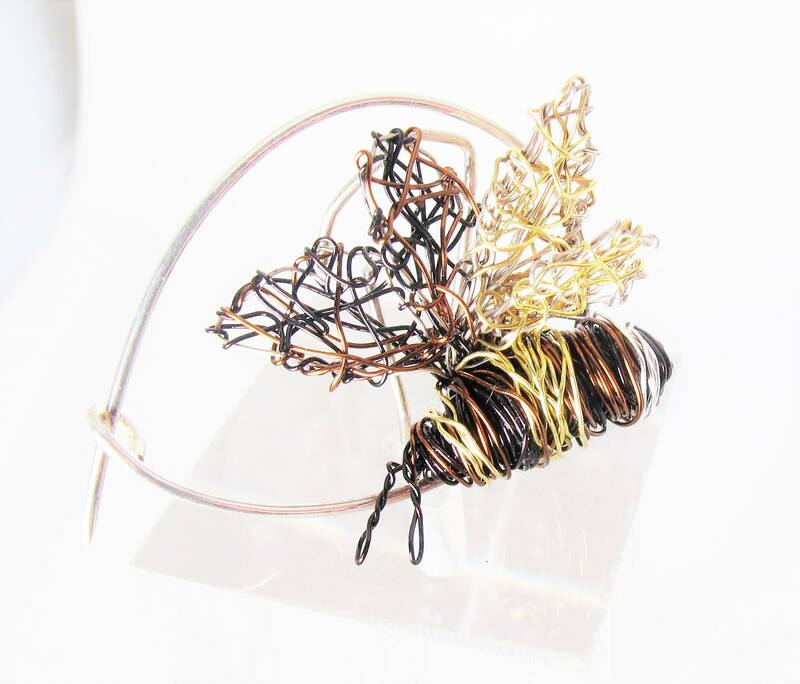 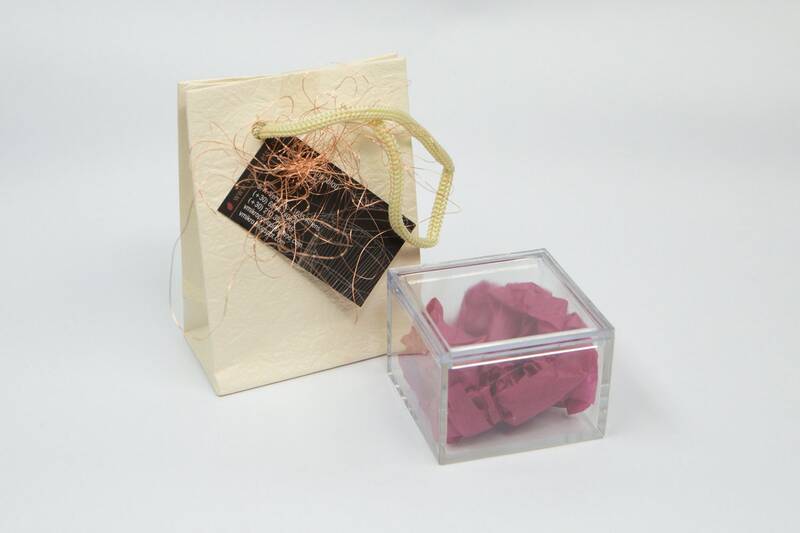 The height of the wire art brooch is 3cm (1.18in), and the width (body with wings), is 1.8cm (0.71in). 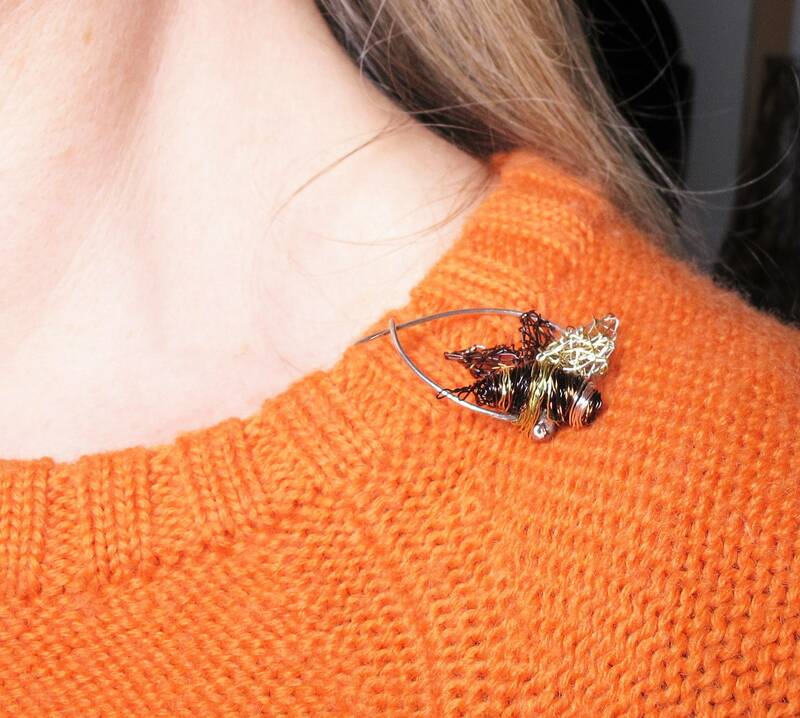 The pin is handmade solid silver.